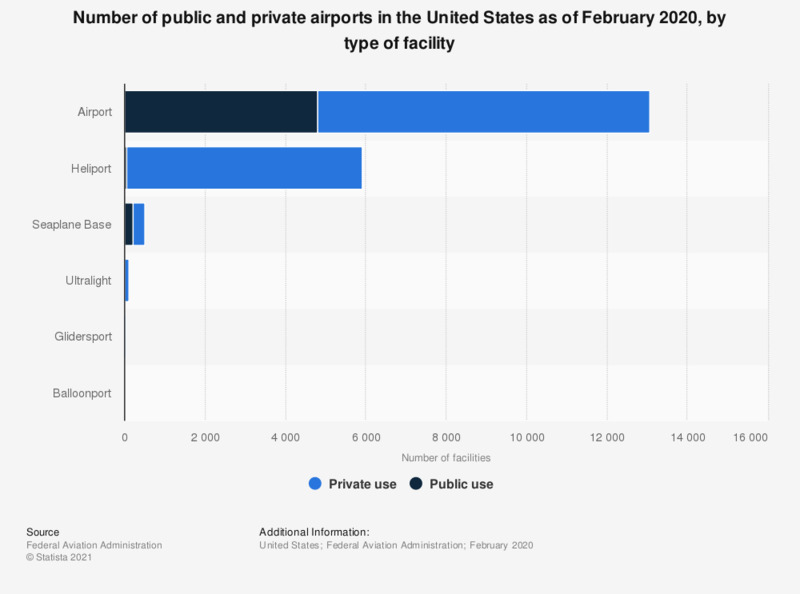 This statistic shows the number of public and private airports in the United States as of May 2018, with a breakdown by type of facility. As of May 2018, there were 5,782 private heliports. A heliport is a landing place for helicopters.